It’s a known fact that most Internet users are now more into fresh content than searching for only trusted sources when they need any piece of information. With this in mind, it’s no wonder that search engines and the personnel that stands behind them are all working together on finding a good and simple way how to speed up the entire indexing process. Faster indexation, fresher results and an entirely new indexing system are all promises coming from the Google and already the results can be acknowledged. It is absolutely true that the indexing process has become much faster than ever before but one problem still remains. New websites and adding new pages to already existing websites are still facing some indexing problems, already well known to a lot of webmasters. 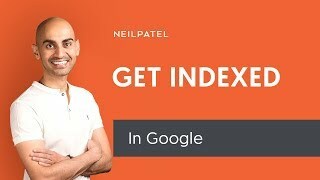 If you by any chance are experiencing those indexation problems, there are SEO techniques that you can use in order to speed things up a bit. First and foremost, if you simply add links to your website on the websites that are known for high traffic, that is the easiest way how you can significantly speed things up and put your website up there among the first displayed results. The bigger the link number, the better for you simply because these links will directly affect the indexation speed and the total of indexed pages while reducing the indexing time. The next thing you can do is make sure that you always use HTML or XML sitemaps because they can greatly help the entire indexation process. All it takes is to include them in robots.txt as well as submitting them to the various search engine Webmaster Consoles. Once you get that done, all that’s left is to keep the sitemaps updated and make sure that you resubmit after each major change in your website. The last thing in line is working on the structure of your link. Link structure is one of the paramount parameters for SEO as they affect your indexations, PageRank distribution as well as your rankings. Whenever you encounter an indexation problem, you can fix it by checking your link structure to make sure that all pages are linked properly. That way, you can also make sure that your website doesn’t duplicate content problems that could further prolong the indexation problems that already are in the process.